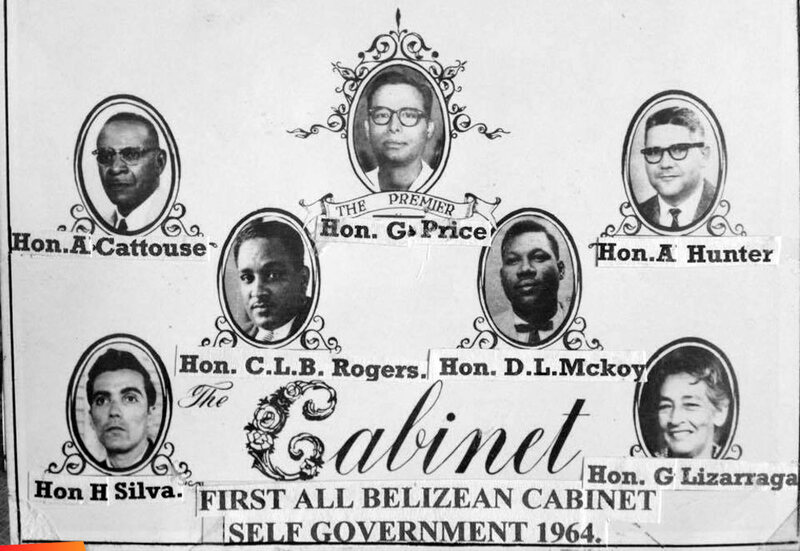 Let it be known, that prior to FULL INTERNAL SELF GOVERNMENT, the Cabinet was under the control of the Governor. It was called the EXECUTIVE COUNCIL. The Governor had RESERVED POWERS and VETO POWERS to stop any decision by the Executive or the Legislators. There were no Ministers, but only Quasi Ministers, who had replaced the Membership System. Certain Legislators were appointed by the Governor to serve as Members, say, of Natural Resources, Public Utilities, Social Services etc. The New Cabinet of Ministers, under its Chairman, Premier George Price, were sworn under Letters Patent and with FULL responsibility for their Ministry's. The First Ministers were: George C Price, Albert Cattouse, Alexander Hunter, Carl Lindberg Rogers, David Nckoy, Madame Gwendoline Lizarraga, and Hector David Silva.